Able Auctions presents their best collectors auction of the fall, over two days, on October 3rd and 4th, 2015. This auction is up for live and internet bidding to local buyers as well as bidders from around the globe. The first day of the auction will feature vintage memorabilia, comics, toys, antiques, and collectibles. The second day presents a selection of Native west coast art, fine jewelry, and Antique firearms. There are hundreds of lots to choose from and lots will be added leading up to the sale. Bidders can check out the online catalog at any time to view photos and see descriptions. 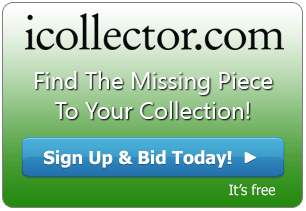 Highlighted on October 3rd are pinball machines, Hollywood memorabilia, Walt Disney items, and Coca Cola collectibles. In addition there are tin toys, vintage comic books, and antique collectibles. Also included in this auction day are bone china, sterling silver, original artwork, fine jewelry, taxidermy material, and much, much, more. This will be a highly attended and active auction day. October 4th brings over 500 lots up to the auction block. There are over 400 lots of Native baskets, masks, jewelry, and artwork. And for the firearm collector, over 100 antiques will be up for bidding. Firearms, muskets, pistols, edged weapons and more, will be available to the highest bidder. Lot 1135 is one of the auction highlights. This is a stunning Stan Greene, two figure, totem pole. It is measuring 118” in height, 26” in width, and 16” in diameter. Four gorgeous photos are online now for viewing. Another highlighted piece of Native work is at Lot 1078, Here is a Sun Mask made by Gene Brabant (1946 – ) of the Cree. It is a Kwag-Uilth Sun Mask and measures 48” by 42”. It is truly stunning and the photo array in the online catalog is the place to see and place bids. A third important highlight is Lot 1372 which is another mask. 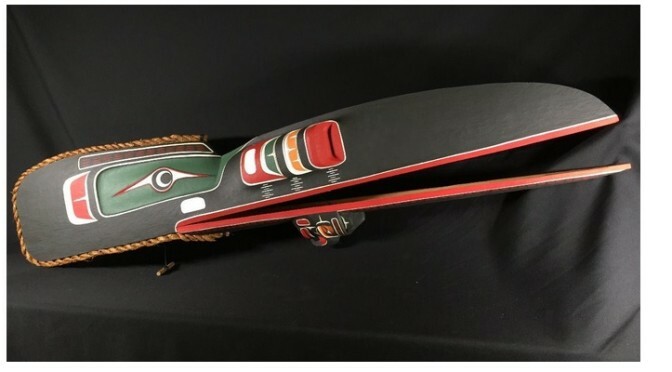 This one is an outstanding Raven Mask by Stan C Hunt (1954 – ). This lot is a Kwaguilth Articulating Raven Mask, measuring a beautiful 54” by 10” by 10”. Stanley Clifford Hunt is the youngest son of master carver Henry Hunt. His carvings are collected worldwide. For antique firearm collectors, there are several interesting additions to the sale. Lot 1047 is a very interesting pair of 17th century, English flintlock holster pistols. They are unmarked locks with little engracing, have 12 bore barrels that are 13 ½” long, and brass butts. These two pistols are in fair condition in light of the age and make a superb display piece to have a firearm from so long ago. Both auction days get started off at 9:30AM Pacific Time from the Able Auctions facility in Vancouver, BC. The live and internet audience will be one of their biggest of the year and action will be brisk. A lot of great values will be had on auction day and everything is available for online bidding.